Applications close 6 July - Don't miss out! 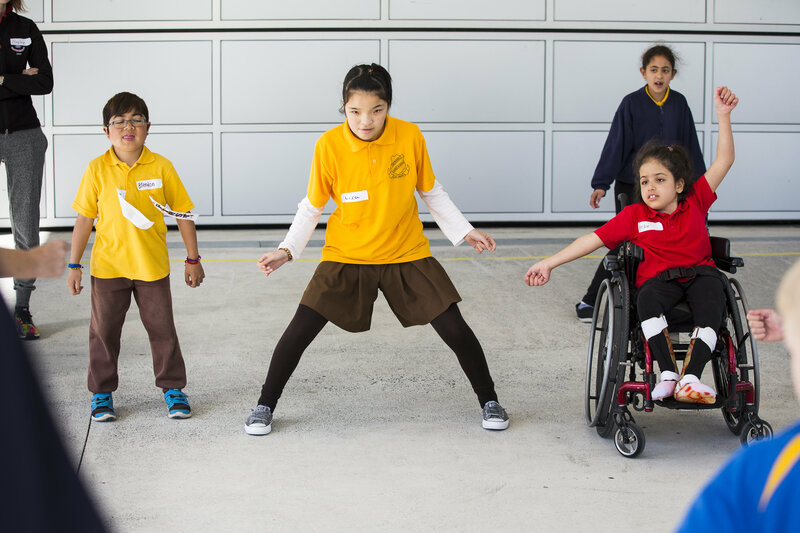 The NSW Public Schools Disability Dance Workshops are a dance project specifically designed to give students with disabilities the opportunity to explore, discover and reach new physical limits whilst engaging in dance. During this one day workshop, students and teachers will have the opportunity to work with other schools and further develop their knowledge and understanding of composition and dance technique. Teachers will be given specific professional development opportunities that they can take back to the classroom with them and further this experience with their students. Students will look at new forms of physical expression, getting in tune with their musicality and perfecting their dance moves. Workshops run from 9:30am - 2:00pm. Applications for 2018 workshops are now open - click here to apply. Schools may apply for any of the workshops listed on the on-line entry form. Schools will be charged a participation fee of $27.50 (including GST) per student. A supervising teacher and support staff suitable to meet the needs of the attending students from the school is required to be in attendance at the workshop. Please note numbers for this workshops are limited. Early application is recommended to ensure students do not miss out on this fantastic opportunity. Please complete the online entry form and return the relevant paperwork by 6 July . Copyright © 2018 | The Arts Unit | All rights reserved.